CONCEPT: The concept behind the blog newsletter combo is that content sent to followers in emails can also be blog posts. This will make creating content and art blogging easy. As an artist I did not set out to blog about anything, let alone my art work. However, I did start to blog when a client sent me this article by Chris Tyrell. Then I felt pressure to keep putting things out there until I realized I didn’t have to. After I settled into routine of blogging both here at Artbiz and my fine art site, I came up with one really good use for my art blog. I use my fine art blog as an archive for my exhibitions (here’s how to use your blog for exhibition history). It’s great because it provides a chronological listing of my exhibits with pictures, review links and I can write about it as much or as little as it want. Now I have another idea on how you can use your art blog and not have to go through writers anxiety every time you feel it’s time to communicate with your followers. I call it your blog newsletter combo! No doubt you have an email list to send out your studio news. You may even have a Mail Chimp or similar account that you use to send out your emails. If you don’t, get one, it’s free. THE IDEA: Turn studio newsletter’s into a blog posts and use Mail Chimp to send it out automatically. Oh Yeah, we`re done here. Show images of your studio, people love to see artist studios. Document the stages of your work. This could also be turned into a how to article. Take pictures and write about your visit to a local art show. The opening of your show (see here’s how to use your blog for exhibition history), or an artist you admire. Your fav art reading list. Interview an artist you admire. Take pictures of crating and shipping your work. Ask collectors for images of your work in their home or office. Ask for testimonials if you do commissions. There’s so much you can write about that will let people into your mysterious life of an artist. 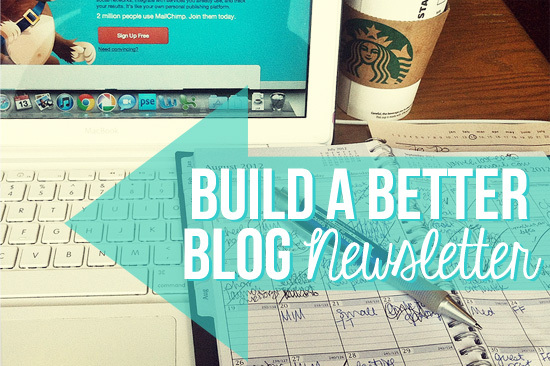 You don’t have to do both a newsletter and a blog. 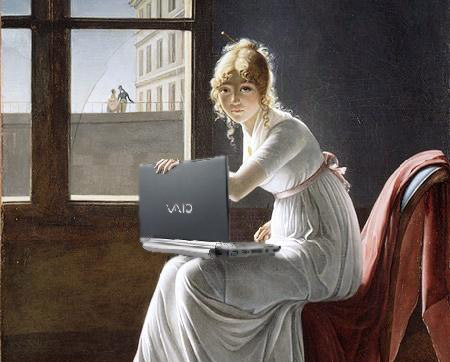 Make art blogging easy by combining the two tasks into one. 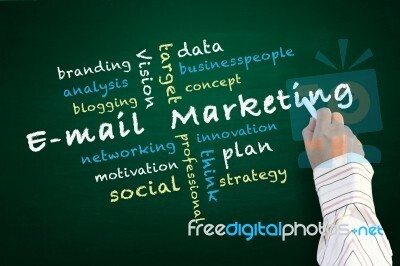 What do you think, will you turn your newsletter into blog posts? Any other content ideas you wish to add? 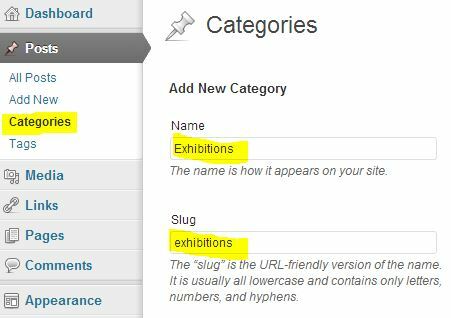 In this post I provide step by step instructions on how to use your blog for Exhibition History. By using your blog posts for listing your exhibition history you will not only have something to blog about but also have a way to share more about your work. 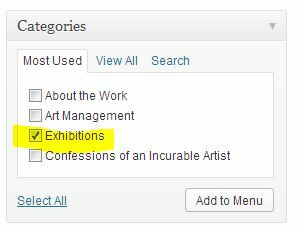 Go to Posts > Categories and create a new category named “Exhibitions”. Don’t forget to click the big blue button the says “Add New Category” (I know goes without saying). 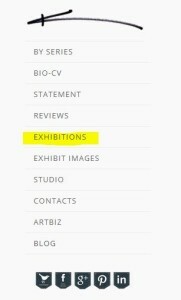 Go to Posts > Add New and create a blog post with the name of your exhibition. Add the invitation as the featured image or any other good quality image that represents the show. I set the invite from my last solo show at Dade Art & Design Lab as the feature image of this post. If you use one of the David themes this image will appear full width across the top of the page as long as the image is at least 640 pixels wide. If it is a smaller image then will still appear above the post title only smaller. For other themes insert the image on the page. If your theme will show a thumbnail with excerpts then make sure you set a feature image as well as inserting on the page. Now for the content. Add the exhibition details, date, opening reception, etc; just like a regular invite. If you have an exhibition statement you can use it here or write something about the show and the work. Other content to consider would be reviews, links to reviews, interviews, anything to do with the show. Post images from the exhibition. These can be images of the work using a tag gallery from your NextGen Gallery. You can find full instructions on creating a tag gallery in NextGen Gallery here. Alternatively you can generate a Nextgen Gallery specifically for the exhibit and simply add the gallery short code to the post. Also include installation shots, pictures from the opening and images of people interacting with your work. 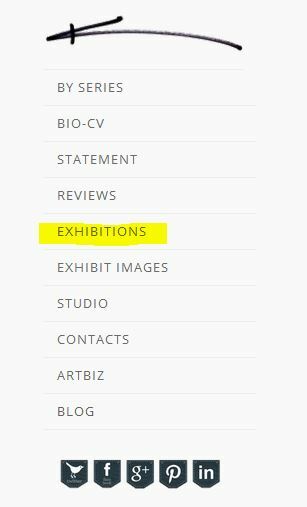 Produce a number of posts to include in the new exhibition category by selecting from your past exhibitions and making a new post for each. 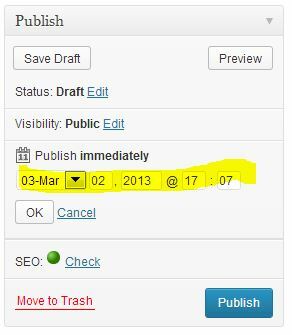 In WordPress you can back date your publish day to be any time in the past, so back date to a week or more before the scheduled opening. If you prefer not to create a bunch of new posts and do all the backdating just start from your most recent exhibition and go forward from there. Don’t forget to select the new category and add some tags before publishing, otherwise your post is going to be filed as “uncategorized” and won’t show up in the “Exhibitions” category. The Last step is to put the new category into your menu. You can add a category as a menu item by selecting it under Appearance > Menus. Once it is in the menu it looks like a regular menu item only it goes to your blog category archive. 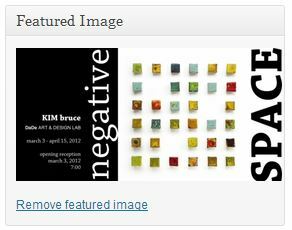 Below is a screenshot snippet of the “Exhibitions” category in my menu at KimBruce.ca. See the entire screen at my fine art site. That’s it, you now know how to use your blog for exhibition history and there by have content to blog about and an exhibitions archive. If you create an exhibition history using a blog category please come back here and post us a link in the comment area so we can all come and visit your exhibition history. In a recent article “Website Terms” I explained common terms used when working on your site. In this article I explain the blogging terms you should know if you are using a blog on your website. I have tried to keep it simple providing definitions for the most common terms and things you may ask about. An avatar is a graphic image or picture that represents a user. You typically see it next to their comment on a blog. Look at any comments on this site and you will see avatars. If someone has not created their global avatar (see #13 Gravatar below) a generic one will be created for them. Avatars can be enabled or disabled under Settings/Discussion. A collection of all your posts on one page. Can be categorized by month, year, etc and can include post counts. As your blog grows you may want to use archives in your sidebar. A blog, or weblog, is an online journal, diary, or serial published by a person or group of people. Blogs are dynamic and built-in chronological order typically with the newest content at the top of the page. Blogging is the act of writing in one’s blog. To blog something is to write about something in one’s blog. This sometimes involves linking to something the author finds interesting on the internet. A blogroll is a list of links to various blogs or web sites. You can create categories for your links thus organizing them and insert them into your sidebar using the widget. CAPTCHA – short for “Completely Automated Public Turing test to tell Computers and Humans Apart”. Those word and letter verification images you need to type in to show you are human and not a bot. Helpful to block automated spam comments. You can use a plugin on your comment form to add CAPTCHA. Each post in WordPress is filed under a category. Thoughtful categorization allows posts to be grouped with others of similar content and aids in the navigation of a site. Please note, the post category should not be confused with the Link Categories used to classify and manage Links. Think of categories as your table of contents or navigation for your blog. Comments are a feature of blogs which allow readers to respond to posts. Typically readers simply provide their own thoughts regarding the content of the post, but users may also provide links to other resources, generate discussion, or simply compliment the author for a well-written post. You can control and regulate comments by filters for language and content. Comments can be queued for approval before they are visible on the web site. This is useful in dealing with comment spam. 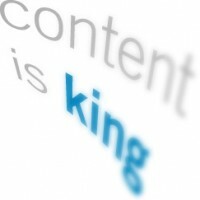 Content consists of text, images, or other information shared in posts or pages. 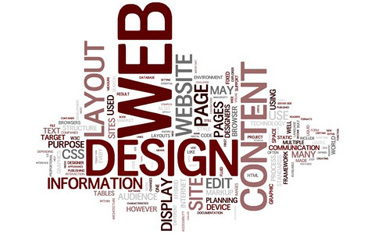 This is separate from the structural design of a website, which provides a framework into which the content is inserted, and the presentation of a site, which involves graphic design. A Content Management System changes and updates content, rather than the structural or graphic design of a web site. A Content Management System, or CMS, is software for facilitating the maintenance of content, but not design, on a web site. WordPress is an example of a Content Management System. The draft post status is for WordPress posts which are saved, but as yet unpublished. A draft post can only be edited through the Administration Panel. Drafts can be created in both posts and pages. A feed is a function of special software that allows “Feedreaders” to access a site automatically looking for new content and then posting the information about new content and updates to the feed reader. This provides a way for users to keep up with the latest and hottest information posted on different blogging sites. Some Feeds include RSS (alternately defined as “Rich Site Summary” or “Really Simple Syndication”), Atom or RDF files. In the WordPress uploader there is a “Gallery” tab that shows all the uploads attached to the post you are editing. When you have more than one attachment in a post, you should see at the bottom of the Gallery tab a button marked “Insert gallery into post”. That button inserts a shortcode into the post. WordPress replaces that shortcode with an exposition of all images attached to that post. Non-image file types are excluded from the gallery. Note: If you don’t see the “Insert galley into post” button, it may be because you have not attached two images to the post. All Artbiz Sites come with NextCellent Gallery: an alternative to the WordPress Gallery. Preview examples at the Gallery Options page. A Gravatar is a globally recognized avatar (a graphic image or picture that represents a user). Typically a user’s gravatar is associated with their email address, and using a service such as Gravatar.com, a blog owner to can configure their blog so that a user’s gravatar is displayed along with their comments. Meta has several meanings, but generally means information about. Meta is the HTML tag used to describe and define a web page to the outside world (search engines). But it also refers to information associated with each post, such as the author’s name and the date posted. A Page is often used to present “static” information about yourself or your site. A good example of a Page is information you would place on an About Page. A Page should not be confused with the time-oriented objects called posts. Pages are typically “timeless” in nature and live “outside” your blog. A permalink is a URL at which a resource or article will be permanently stored. Many pages driven by Content Management Systems contain excerpts of content which is frequently rotated, making linking to bits of information within them a game of chance. Permalinks allow users to bookmark full articles at a URL they know will never change, and will always present the same content. Pingback lets you notify the author of an article if you link to his article (article on a blog, of course). If the links you include in an article you write on a blog lead to a blog which is pingback enabled, then the author of that blog gets a notification in the form of a pingback that you linked to his article. A post sometimes referred to as an Entry consists of individual articles that make up a blog. 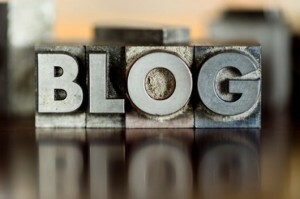 Blogs run in chronological order with the newest post at the top. “Really Simple Syndication“: a format for syndicating many types of content, including blog entries. An RSS feed can contain a summary of content or the full text, and makes it easier for people to keep up to date with sites they like in an automated manner (much like e-mail). The content of the feed can be read by using software called an RSS or Feed reader. Feed readers display hyperlinks, and include other metadata (information about information) that helps you decide whether they want to read more, follow a link, or move on. The original intent of RSS is to make information come to you (via the feed reader) instead of you going out to look for it (via the Web). The sidebar, sometimes called the menu, is a narrow vertical column often jam-packed with lots of information about a website. Found on most WordPress sites, the sidebar is usually placed on the right or left-hand side of the web page, though in some cases, a site will feature two sidebars, one on each side of the main content where your posts are found. A sidebar is also referred to as a Theme Template file and is typically called sidebar.php. A slug is a few words that describe a post or a page. Slugs are usually a URL friendly version of the post title (which has been automatically generated by WordPress), but a slug can be anything you like. Slugs are meant to be used with permalinks as they help describe what the content at the URL. If you article has a very long name use a Slug to make it shorter but meaningful. A tag is a keyword which describes all or part of a Post. Think of it like a Category, but smaller in scope. A post may have several tags, many of which relate to it only peripherally. Like Categories, Tags are usually linked to a page which shows all posts having the same tag. Tags can also be displayed in “clouds” which show large numbers of Tags in various sizes, colors, etc. This allows for a sort of total perspective on the blog, allowing people to see the sort of things your blog is about most. Many people confuse Tags and Categories, but the difference is easy: Categories generally don’t change often, while your Tags usually change with every Post. Think of tags as the index of a book and categories as the table of contents. A tagline is a catchy phrase that describes the character or the attributes of the blog in a brief, concise manner. Think of it as the slogan, or catch line for a weblog. A theme is a collection of files that work together to produce a graphical interface with an underlying unifying design for a weblog. A theme modifies the way the site is displayed, without modifying the underlying software. Essentially, the WordPress theme system is a way to skin your website. Trackback helps you to notify another author that you wrote something related to what he had written on his blog, even if you don’t have an explicit link to his article. This improves the chances of the other author sitting up and noticing that you gave him credit for something, or that you improved upon something he wrote, or something similar. With pingback and trackback, blogs are interconnected. Think of them as the equivalents of acknowledgements and references at the end of an academic paper, or a chapter in a textbook. How comments work with WordPress. Love them, hate them, disable them. With WordPress.org or any blogging platform there is an area where visitors to you site can leave comments on your posts. 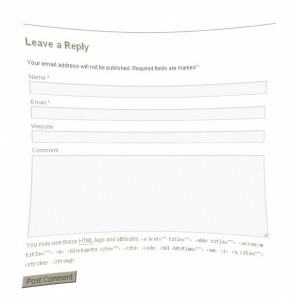 It is usually found under the post with a form your visitors fill in with their website address, email (which is not published) and their comments. I think one reason why people may shy away from blogging is because of the dreaded “no comments”. It’s like no body is coming to your party. I don’t get a lot of comments at artbiz or my fine art site. What I found is that if someone wanted more information they emailed or contacted me directly. Some visitors are also not comfortable commenting publicly. BUT the thing about leaving comments on blogs is that it’s a way to link to your website and we all know how important back links are to your search engine rankings. Before you go out leaving the comment “thanks that was interesting and informative” in hopes of getting people to click-through to your website; stop. Even though it is nice to compliment the author it doesn’t really give people a reason to click-through to your website. You should have something relevant to contribute to the dialogue. Say something more thought-provoking on the other hand will have people wanting to know who you are and gives them a reason to click-through. All comments go through an approval process, meaning they are not published to your site until you approve them. With WordPress you can by-pass the approval process for someone who already has an approved comment if you want. WordPress will also notify you by email when someone leaves a comment for approval. You can expect spam comments so you should have a spam blocker like Akismet (comes standard with WordPress) which will put the comments into a spam box like your email does. Here you can review the spam just incase there is a legit comment and mark it as such. ?php comments_template( ”, true ); ? Blogging is about building relationships so don’t be shy leave a comment. A list of ideas to implement and make your website content stronger. Looking at artists sites I see one thing that strikes me as odd. Artists are visual people right, image is worth a thousand words and all that. What I see a lot, are blog posts with out images and portfolio images with out descriptive text. If you are writing about a process to create a work of art show us images of the process. If you have an image or group of images on the landing page or anywhere in your portfolio tell us in a few sentences what we are looking at. This can be an excerpt from your artist statement and will go a long way in satisfying lay people. If you are posting announcements to events and ask us to go to the event site for further information please provide a link to that website. Also if you list up coming exhibitions please provide us with a link to the gallery. Redundancy: If you had a “News” page but are now posting your news to your blog you can safely remove the News page and transfer the content over to your blog. Try to be more creative than using “Uncategorized” as a blog category. It is the default WordPress category use to catch those posts that do not have a category assigned. If you don’t want to use categories then consider changing the name of “Uncategorized”. Some clients have used “In General”, “Studio News”, “The Artists Life”. Just go to Categories and rename it. Have you added descriptions to your gallery images; name, medium, size? What if an interior designer visited your site and saw the ideal painting for a client but there was no size and nor could they contact you and ask the size of the piece because there was no name. Um, third image from the left, two rows down is not good. Most artist sites will have a page called “Events” or “Exhibits” used to list current or upcoming shows. In WordPress your pages can be removed from the menu if there aren’t any current events. Better not to have it in the menu than have people land on a blank page. If you don’t want to remove it from the menu stick an image on the page and tell visitors that there aren’t any events at the moment and invite them to check back. Has the same image been on your home page for 3 years? Returning visitors may think you haven’t created any new work and your site has become stale. Switch out your images from time to time – keep it fresh. Consider using an image of yourself on your Biography page. Yes as an artist you identify with your work but your collectors and potential collectors want to know the real you. It doesn’t have to be a professional portrait, a shot of you in the studio is pretty cool. Have a look at Eleanor Lowden Pidgeon’s Bio page. Thought that you would really get into blogging or use the blog to post news but haven’t posted anything since December 2008. Get rid of the blog and just use a page and call it News. Do you have a new and exciting announcement like an instructional video. Use your home page to create a link and say a few words. Rex Beanland does this well. Calendars on your blog are meant to highlight the days that you have created new posts. Consider removing the calendar from your sidebar if your post frequency is rare and there aren’t any highlighted dates on the calendar. Use your home page to promote an upcoming show complete with an image and show details. 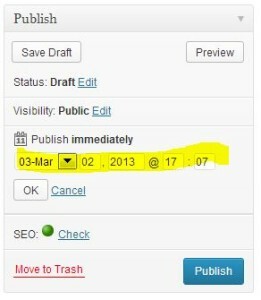 This is good use of your home page, keep it fresh with new content BUT remember to remove the event when it is over. People coming to your site will see that the exhibit was 6 months ago, that is stale content. Typically I set up your portfolio with generic names if you don’t have proper series names. It will mean more to your visitors if you categorize your work and name your galleries accordingly. If you have exhibition images with people in them post them. It’s great to see people interact with your art. Have a look at Liz Sullivan’s site as an example. Liz uses a page called Recent Exhibitions but you could also do this in a blog post. Do people have at least two ways to contact you? Email and a phone number. Is all your contact information on your contact page? Where are you in the world? It is called the World Wide Web after all and you will get visitors from everywhere would it not be nice to tell them where you live. It doesn’t have to be a full street address but why not something like: “Jane Doe Artist works out of her studio in “city name”. If you use archives which lists the months and years that you have posted to your blog and you only have 2 and they are two years apart consider not using archives in your sidebar. Have you remembered to resize your images for the web? You have 8 seconds before your visitor gives up and leave because your image is taking too long to load. Your readers will appreciate it and so will search engines. Really! I wrote an article about the real reason artists need to blog, and jumped on the blogging bandwagon and started writing about my work. Well I get to be my own success story. It works! 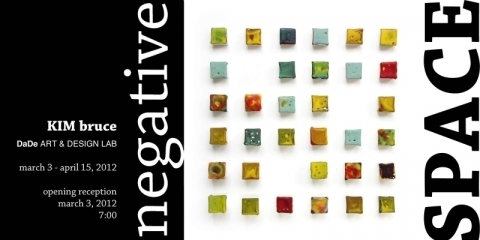 I received a phone call one Friday afternoon from New Haven artist & curator, Suzan Shutan. She was in the process of finalizing an exhibition proposal. But before she finished she decided to do one final Google search for art made with pins & needles. It just so happened that I wrote a post at henigmanbruce.com (my fine art site) about my work with pins and needles (you can read it here). Suzan found it on Google and included my work in the exhibition proposal with some pretty amazing international artists. Being found online by Susan created a domino effect that started with the Pins & Needles exhibition at Housatonic Museum of Art in Bridgeport, CT. When the exhibition opportunity came through I wrote for a A.F.A. project grant and was successful. My Heels series was created for the exhibition and I posted images of the work to my Facebook profile. An artist friend (that I had never met) posted a couple of links to shoe museums, she thought I’d be interested in. I submitted my work to The Virtual Shoe Museum and was included in their online collection. A few years later that same online collection site put together a major exhibition at Grassi Museum in Germany. I was included in the show and subsequently the Museum kept my piece as part of their permanent collect. From there a New York fashion magazine, Heaven Has Heels, found my work at The Virtual Shoe Museum and approached me for an interview. Which I happily agreed to. I don’t know what, if anything, will happen next, but I firmly believe that none of this would have happened had I not written about my work and had my images ranked in Google. There are many good reasons to craft content for your website, whether you blog or not, it doesn’t matter. What does matter is sharing your work with the world and letting them into your world so they can get to know the person behind the art.